Not long ago I built a stunning TV unit out of recycled hardwood. One of the main functional features of this unit was keeping dust out so naturally it was as enclosed as possible. 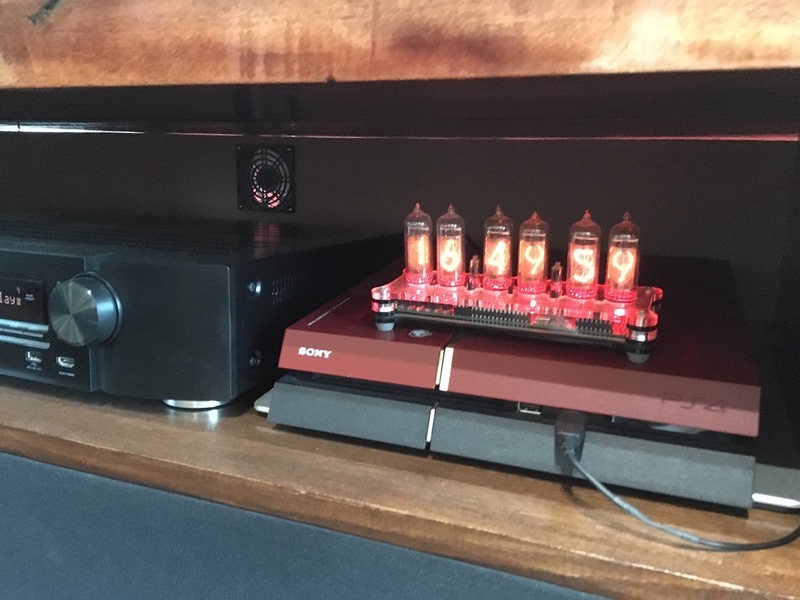 Though the unit looked great, I quickly found that it was not usable the way it was built if both the AV receiver and the PS4 are running. There was no air circulation so everything got super hot inside. 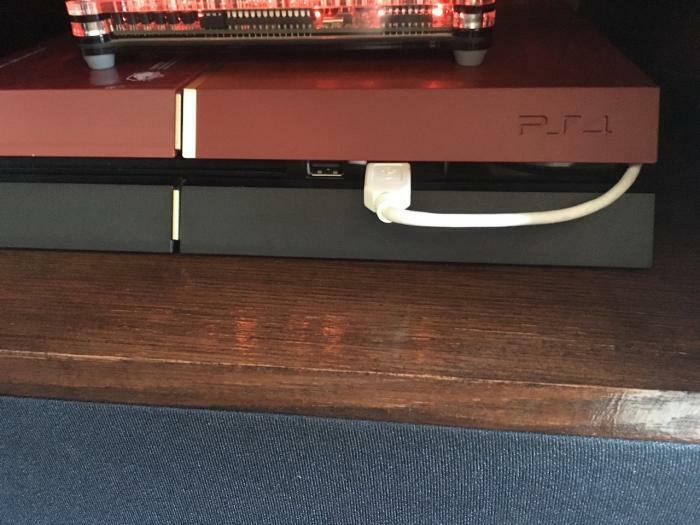 For a while I was forced to open the glass doors on my TV unit whenever I wanted to play my PS4. This wasn't practical long term so I decided to do something about it. I ordered an 80mm 65 CFM fan that ran on 5V meaning I could have it connected to one of the PS4 USB ports. This fan worked like a charm, but it sounded like a jet engine taking off! Back to the drawing board and I ordered a 12v temperature controlled low noise 31 CFM fan. 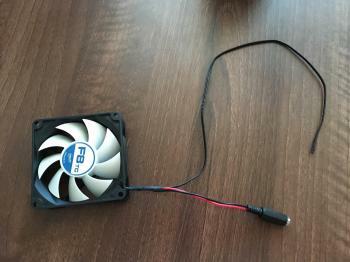 This fan can move only about 50% of the volume of air as the other fan but it's advantage was how quiet it would run. Here are the results that I collected of playing Witcher 3 for 40 mins with aircon running at 23C. 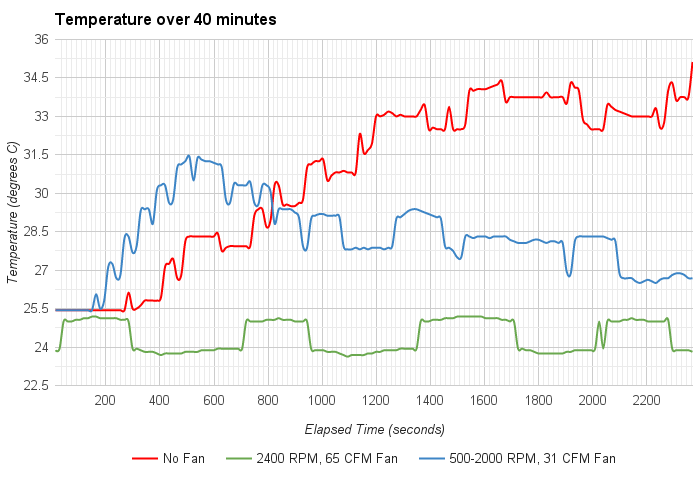 Results are: without the fan, with the 65 CFM fan and the 31 CFM fan. It's clear that without a fan the temperature just keeps on rising and rising. It's about a 10C difference with the fan vs without. Over a 40 minute period that's quite significant considering aircon is running too. The loud fan (65 CFM) is definitely best for this job, the temperature only deviated by 1C while it was running. 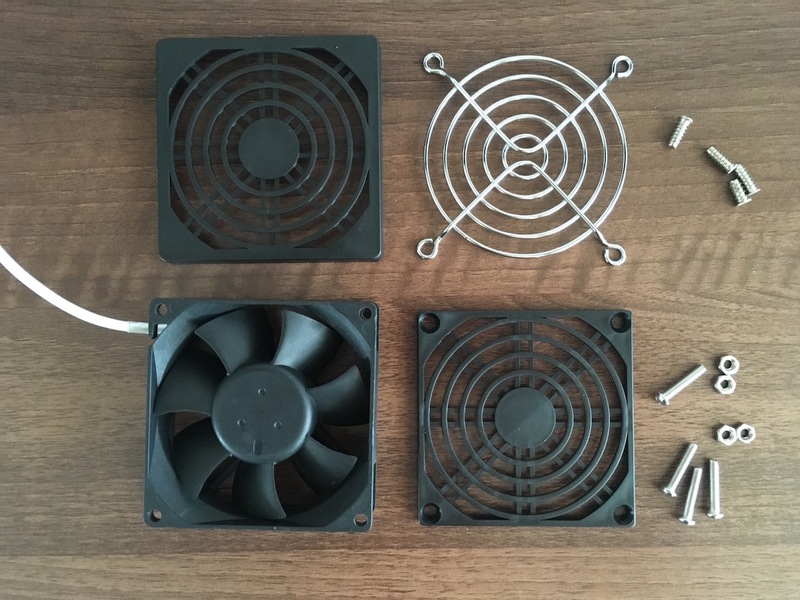 The quiet fan (31 CFM) is not as good at regulating the temperature however it still keeps it much lower than without a fan at all and you can't hear it. Because the quiet fan I used has a temperature sensor, it only ramps up its speed when the temperature goes up, this can be seen by the jumps in the blue line at around the 500 second mark. So lets see what I actually did. 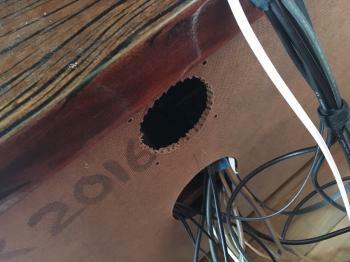 In a nutshell I fitted a fan to the back of the TV unit, facing the fan to draw air out of the unit. This causes cool air is to be sucked in around the gaps at the front of the unit doors while pushing hot air out from the back. This was the first fan. 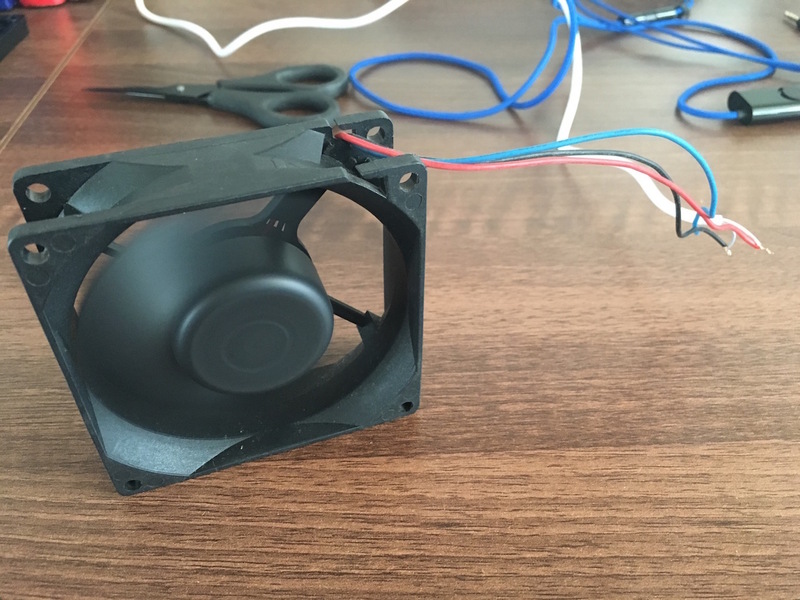 It's a no-brand 80mm 5V fan. I used an old USB cable to hook it up. I used two grilles, one inside and one outside. This is more for the look than anything functional. A hole was cut in the centre of the top shelf to fit the fan, that's where the AV receiver and PS4 sit. 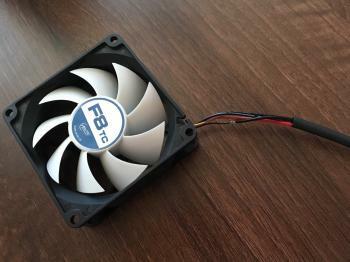 The second fan was a more expensive Arctic Cooling F8 TC model. 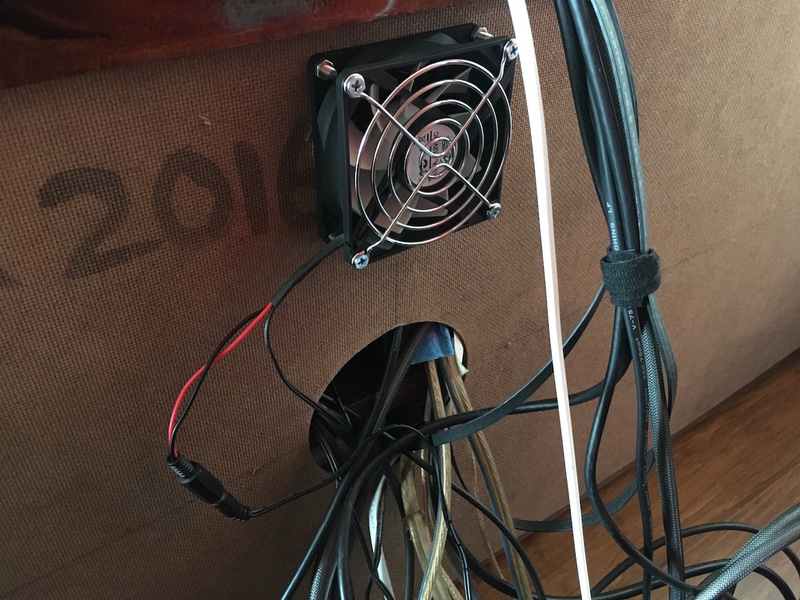 This is a 12V fan so I needed to use an external power adapter, which is no biggie as that's plugged into the Belkin Conserve power board. This board turns the fan (and the TV, PS4, etc) on only if the AV unit is powered up. The beauty of this fan is it designed to be super quiet and to respond to temperature changes by speeding up when temperature rises, then dropping down it's spin once the temperature is lower. This was a perfect fit for my needs. So there you go, adding a fan really does reduce the temperature inside a TV unit, it's not just for computer cases! It will also mean that the PS4 itself runs quieter as it won't need to spin up its own fans. 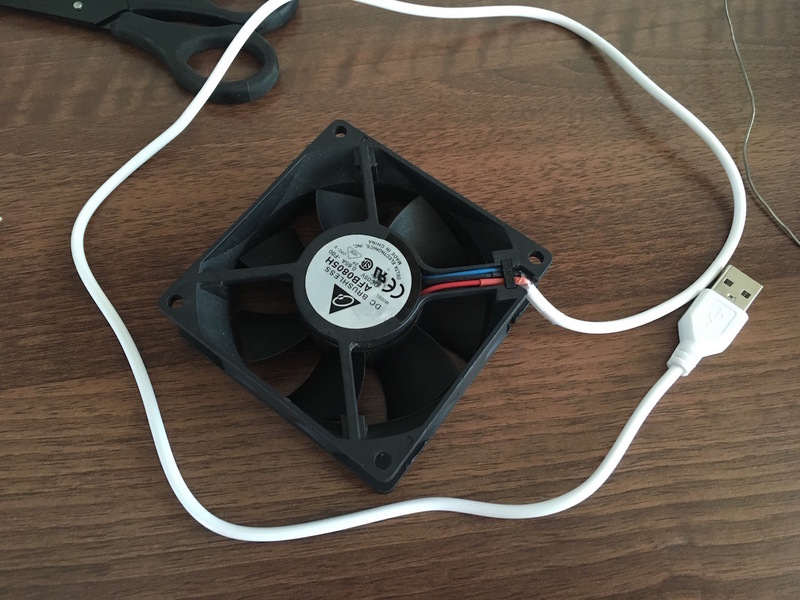 Further this will extend the life of your electronics by not overheating them. In another project I also used an F8 TC Pro fan to keep disks in a cheap HDD dock cool.